Genbu Kaiden is a prequel to the world famous story of Fushigi Yuugi, telling of the creation of "The Universe of the Four Gods" and the epic tale of the Genbu no Miko (Priestess of Genbu), who was but briefly mentioned in the original Fushigi Yuugi manga and anime. 1923. Japan. Seventeen-year-old Takiko Okuda is living with her ill mother after recently moving from Tokyo to a small town. 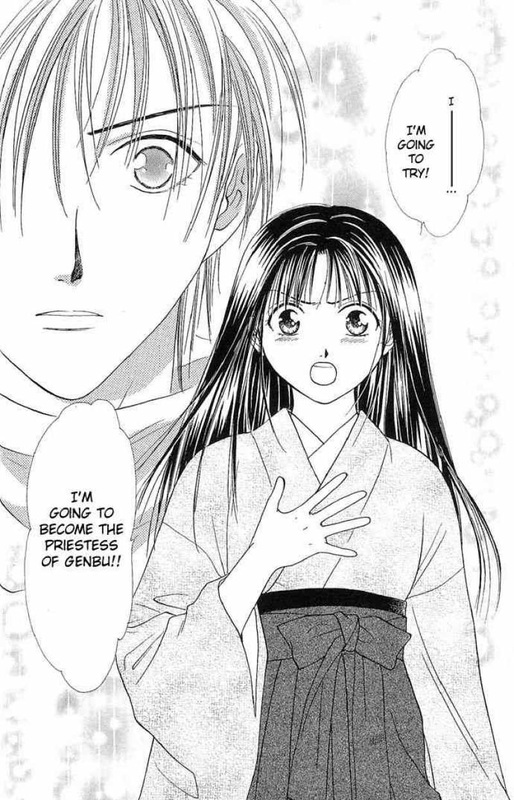 Her father, (Einosuke Okuda) a busy novelist who is seldom home and seems to care little for his family, returns suddenly one day (much to Takiko's dismay). He apparently has been working on something called "The Universe of the Four Gods," and is obsessed with the book to the exclusion of all other concerns. 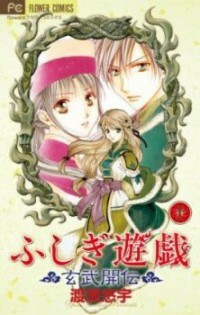 Her mother soon dies and Takiko becomes angry at her father for ignoring the two of them. These feelings, paired with her feelings of loneliness and uselessness at being rejected both in love and by her father, lead her to attempt to tear the book apart. However, it instead whisks her away to the country of Hokkan where all of her adventures begins.